I want to thank Grace for allowing me to guest post on her blog today. I really appreciate it. 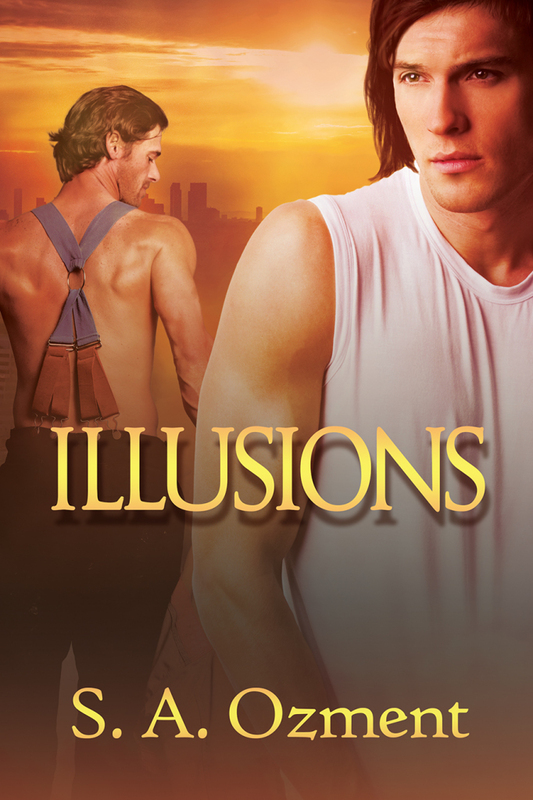 It’s Valentine’s Day soon and after spending years of celebrating “Anti-Valentine’s Day” with my friends the irony is not lost on me that my romance novel, “Illusions” is being released a mere twenty-four hours before the big red heart Hallmark day. You see, the celebration of Valentine’s Day has always been a sore point for me. Not that I’m not all about some candy and presents, but I’ve always had the mindset that if someone loves me, then why not show it any of the other 364 days a year and not only on a day that Hallmark and peer pressure demands it. I mean September 4th sounds like a great day for roses and Godiva chocolate, don’t you agree? I used to think I was alone in this feeling until one of my friends suggested an “anti-Valentine” day and I realized that maybe I wasn’t alone in this sentiment. However, regardless of my personal feelings about Valentines, love and all of that, I know deep down that to find love and be loved is what most people want in their life. And since I’m incapable of committing to anyone longer than a date or two, I find my love-release through writing someone else’s Happy Ever After. Skylar, the main character, in Illusions, has a lot of me in him. While I may not be a hot television star, I’m all about not hanging pictures and not owning furniture. I have no time for romance longer than a night and the only thing I’m really committed to is my family. I wanted to show a character that had those traits and see if I could make him feel the love for someone. Hopefully, I did him justice. If you want to leave a comment, I will choose one person to win a free copy of the book. Enjoy! S.A. Ozment was born and raised in North Carolina. From the time she was born she had stars in her eyes. Being shipped off to college rather than heading to Broadway (which was her dream) put a damper on her bright lights/big city dream. However, she was still drawn to the world of entertainment. Over the years, when she wasn’t working as an accountant, S.A. was promoting different actors and singers via social media, (some officially, some not so officially). Working with celebrities sometimes allowed her to see “behind the scenes” and after deciding to share some of her experiences, she wrote her first book, “Illusions”. Most nights, you will find her curled up with her laptop writing or promoting someone. Unless “The Walking Dead” or “Outlander” is on and then you will find her in front of the television. I am totally with you on the anti-Valentine concept, its not that I am against statements of love and affection but I have never been fond of the over commercialisation aspect of the this and a few other holiday events. I would rather make my own card, breakfast in bed with favourite treats and leave a message inside a jacket pocket, which is something you can do anytime of the year as a loving surprise. Yay, thank you so much, I really look forward to reading this book and I will post a few comments on your tour so you have a reader stalker 🙂 I have sent the email to you a little while ago.